Manuel Kerssemakers, Jeppe Tuxen, Julian Togelius and Georgios Yannakakis have done something cool. They've created a computer program that does Nintendo's job. Sort of. 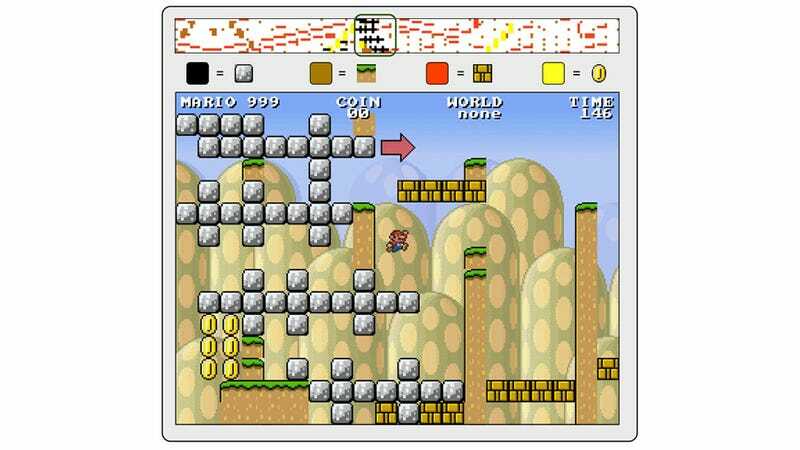 For their 2012 paper called A procedural procedural level generator generator, blogged today by Gamasutra, they built a system that's able to randomly generate level generators that generate their own levels for Infinite Mario Bros., the Mario tribute developed by Minecraft creator Marcus "Notch" Persson. The way they've designed the program to build the levels is fascinating, creating limits on the number of certain items, designing plausible terrain, etc. Yeah, I know, procedurally-generated stuff exists everywhere these days, but there's something fantastic about seeing it applied to the classics like this. Their efforts are based on a community who have taken their program and modified it to build their own levels. You can try it out yourself here.